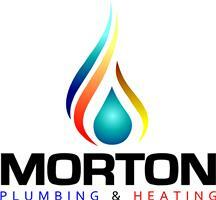 Morton Plumbing and Heating Services - Central Heating Engineer, Plumber based in Keighley, West Yorkshire. My name is Charlie, and I offer a comprehensive list of plumbing and heating services, including everything from fixing leaking taps to full boiler replacements. Always acting with honesty and integrity, I offer advice on what is the most beneficial and cost-effective solution to your plumbing and heating problems. Striving for perfection, I ensure I complete every job to the highest standard, and in addition to installing boilers and radiators, I also offer a bathroom installation service. With over 11 years in business, 20 years of experience in plumbing, heating as well as being GAS safe registered. I provide plumbing and heating services at competitive prices. Building a rapport with my customers is of paramount importance to me, and a lot of my work originates from customer recommendations. Serving customers throughout Keighley, West Yorkshire, and surrounding areas. Please contact me at my plumbing and heating company today to receive your no obligation plumbing quote.